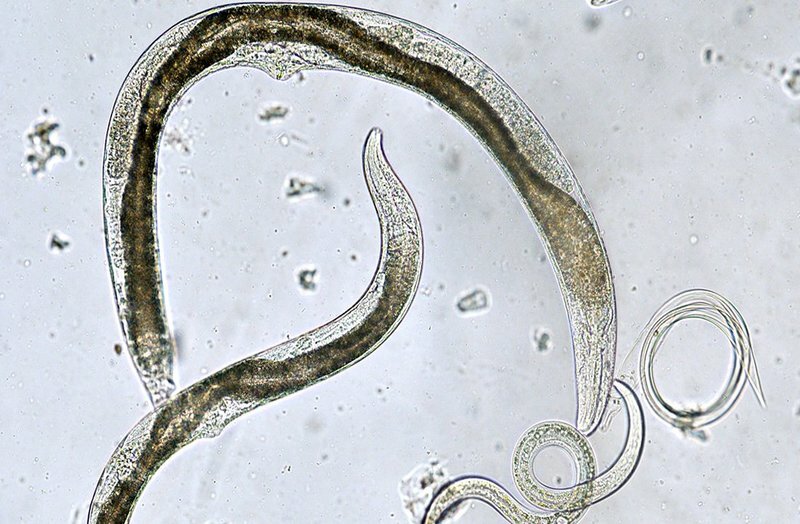 Nematodes are seen as ‘the enemy’ by many turf managers. Not all nematodes are damaging to turf, however. Most nematode species that are found in soil are an important part of the soil food web with benefits to plant health. Free-living beneficial nematodes form part of the soil food web and feed on many different materials, including bacteria and other soil organisms, fungal spores, dead plant cells, etc. Plant-parasitic nematodes (PPN) will also feed on living plant cells – i.e. roots. 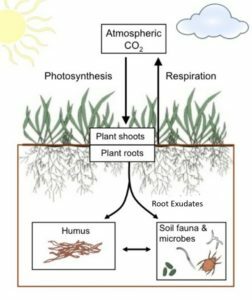 The whole soil food web is set up around plants taking carbon dioxide from the atmosphere, extracting the carbon fraction during photosynthesis and pushing that carbon out into the soil in the form of root exudates. Soil microbes then feed on these carbon-rich exudates. Without a healthy plant feeding them with exudates, soil microbes have no food supply, so it is no surprise that a healthy, diverse microbial population will help keep plants healthy – ensuring a constant supply of microbial food. There are two common methods used to eliminate PPN commonly used in the UK turfcare market – either garlic or sugar-based. The problem with both of these methods is they are not selective. A large proportion of beneficial microbes that are helping to protect the plant from attack as part of the soil food web are wiped out. What you often find is that these products are a short-term solution. 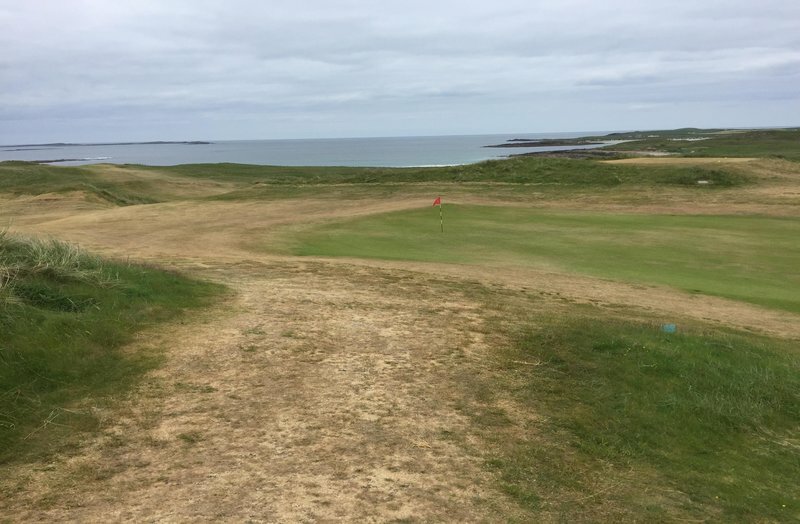 They will kill the majority of plant-parasitic nematodes, but unless you change the soil environment, they will return to cause further problems. I have seen this at many football stadia who get stuck in a vicious circle of applying garlic products every few months as the problem continually returns. The action of garlic extracts on nematodes is through diallyl polysulfides (DAPS). These are a reactive sulphur species that research has shown to be anti-microbial, anti-fungal, insecticidal and nematicidal. DAPS seem to exert their effect on nematodes through an extensive range of reaction pathways which is probably why it kills a number of different species. The problem being it is non-selective. You cannot treat only PPN – you affect a wide range of species. The development of bio-pesticides shows promise for the use of garlic extracts, but recent studies show it is toxic to both larval-stage and adult bees. Neonicotinoids have been phased out over concerns about dwindling bee populations, but the side-effects of alternative solutions such as garlic extracts need to be analysed before being widely adopted. The problem with applying garlic extracts are all the other effects on the environment. All that beneficial microbial life is being knocked back by the effect of garlic and its DAPS. 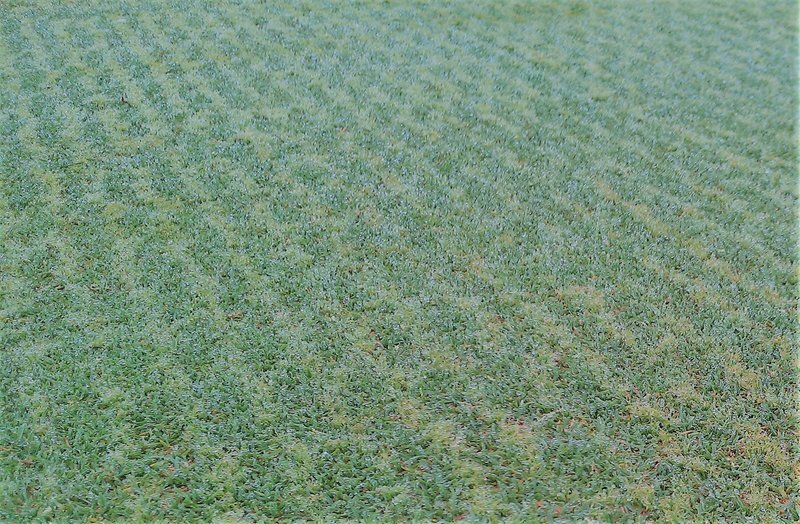 You may rid your turf of nematodes – but is it really any healthier? In crop trials garlic has been used to kill PPN but yields often show no increase due to the negative effect on the soil microbial population. Should we be working with nature rather than against it? Sugar-based treatments utilise the substance furfural for nematode control. Furfural is naturally occurring in cane sugar extracts and molasses-based products. Most sugar products contain furfural at a level that causes no harm to beneficial microbes, but some products have extra furfural added in order to make them effective nematicides. Again, furfural is not selective in it’s action and the same issue of damaging beneficial soil biology remains. A method I much prefer to use is to encourage a large, diverse microbial population in the soil. This is something that we at AGS encourage all sports turf managers to strive for. A healthy soil with a large, diverse microbial population will be more efficient at enabling nutrient availability, be better at soil moisture management, will suffer from less plant stress and disease and will naturally control PPN populations. Applying high-quality organic fertilisers and biostimulants with a high carbon content to feed soil microbes gives you the best chance of avoiding any issues with PPN’s at all. It is only when we ignore the natural needs of the soil that PPN species begin to dominate. In nature, there is a natural supply of carbon to the soil through the root exudates, but by regular mowing of turf we massively reduce the amount of photosynthesis and therefore root exudates available. By then applying inorganic, high-salt fertilisers and chemicals we are breaking away from the natural soil food web even more. PPN then have a chance to dominate and cause noticeable damage as there are not enough natural predators to keep their populations in check. You will never completely rid your soils of PPN, they are part of the soil food web too, but encourage a rich soil microbial population and the population will naturally be suppressed and any damage will be minimal and virtually undetectable. Go back to a more natural way of managing your soils and you will see less stress – not just from PPN, but from disease too. 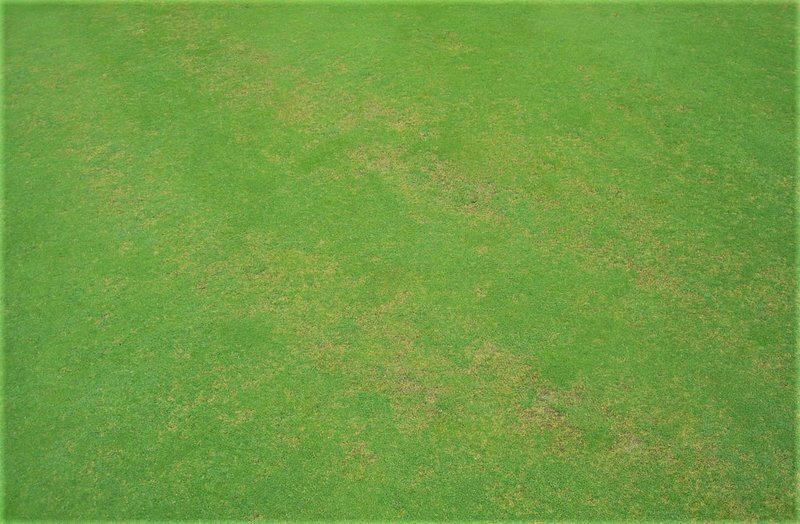 Many golf courses, football stadia and other turf surfaces follow this ideal and issues with PPN have been virtually eliminated. The PPN species are still there, but they are held in check by all the beneficial microbial life protecting the roots that is their food source. Not only is there no adverse effect on soil or plant health using this approach, but there are positive benefits in terms of reduced stress and disease.